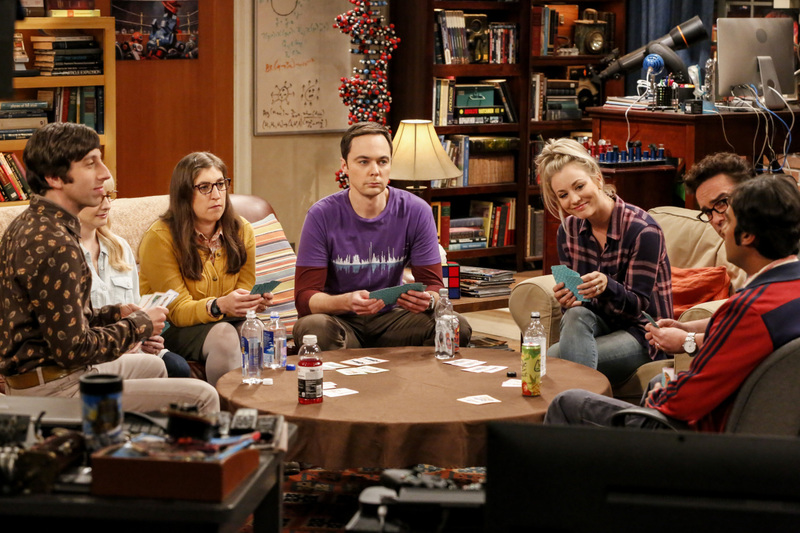 "The Relaxation Integration" -- Pictured: Howard Wolowitz (Simon Helberg), Bernadette (Melissa Rauch), Amy Farrah Fowler (Mayim Bialik), Sheldon Cooper (Jim Parsons), Penny (Kaley Cuoco), Leonard Hofstadter (Johnny Galecki), and Rajesh Koothrappali (Kunal Nayyar). As Sheldon stresses about picking a wedding date, Amy tries to convince him he has a more laid-back side. Also, Koothrappali and Stuart compete to win the heart of Bernadette's new coworker, Ruchi (Swati Kapila), on Monday, Oct. 9 (8:00-8:31 PM, ET/PT), on the CBS Television Network. Photo: Robert Voets/Warner Bros. Entertainment Inc. ÃÂ© 2017 WBEI. All rights reserved.